Please read for the explanation in the Gedit window of that screenshot. was not available at all in the volume control panel. 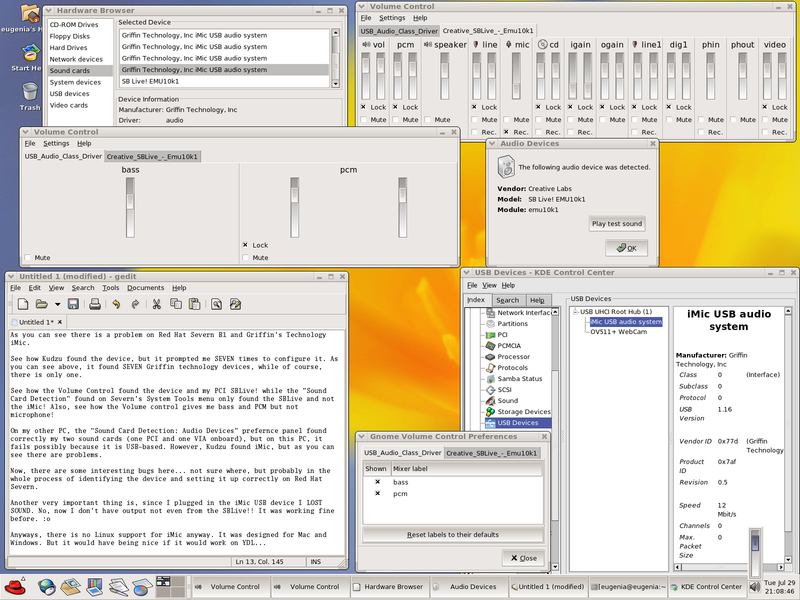 filing reports with redhat-config-soundcard  and gnome-media. 3. Watch Kudzu asking you 7 times to configure the device. Dual Celeron 533 Mhz, 256 MB RAM, Matrox G400 AGP, BX chipset Intel.